Kale is considered a “superfood” and a great addition to any healthy diet. If you want to read up more detail about kale, try the Worlds Healthiest Foods article here. Kale is low in calories and high in fibre, iron, vitamin K, vitamin C, vitamin A, folate and magnesium, among others. It is full of antioxidants and is a great anti-inflammatory food. It also has proven cholesterol-lowering benefits. However, it is important to note that if you have a thyroid condition, you need to be careful about consuming raw kale on a regular basis due to its goitrogenic effect, which can hinder thyroid function. 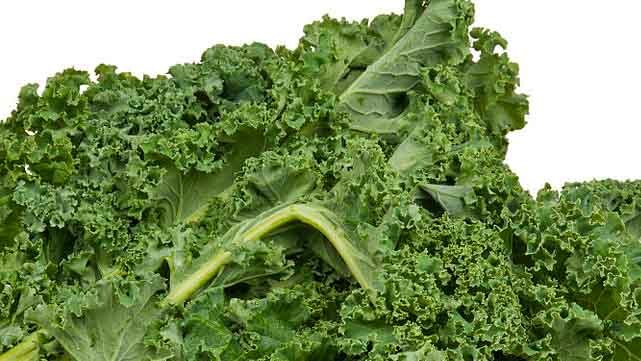 You can read about Kale and its effect on your thyroid here. You can read more about Goitrogens in this article from PaleoHacks, which covers the subject well. I always avoided it because the first time I tried it, “grass” was the first thing that came to mind. Not at all appealing. Turns out I was just preparing it wrong. While it looks much like silverbeet, it does require a little extra finesse. The first thing I recently learnt from my friend Cris was that the stems and ribs are really tough. If you are planning on eating this raw, then the leaves need to be stripped off, in a similar way you would strip herb leaves like rosemary or thyme off their tough woody stems. Next up, if you want to eat kale raw, you need to give it a massage! Once the leaves are stripped and well washed and rinsed, they need to be finely chopped and drizzled with olive oil and then massaged by hand to rub the oil into the leaves for about 5 minutes. This process is quite amazing and completely transforms the tough grassy leaves into soft and lovely and ready for eating. I made a massaged kale salad last night and added in bacon, toasted pine nuts, grilled halloumi and lemon. Delicious. I also have been meaning to add green smoothies into my diet for months now. I find kale has a strong grassy flavour that tastes nicer if blended with some kind of fruit. 2 large handfuls of kale (leaves only, stripped from stalks and washed). I blend in my Thermomix for 2 minutes at speed 10 . It tastes delicious, is easy to drink, and it doesn’t taste of grass at all. If I am not using kale I swap the kale for any leafy green I have on hand. If you don’t have a Thermomix then an appliance like a Nutri Bullet NBR-12 12-Piece Hi-Speed Blender/Mixer System (Amazon Affiliate link) is highly recommended to be able to quickly blend the entire fruit and vegetable into a delicious smoothie. 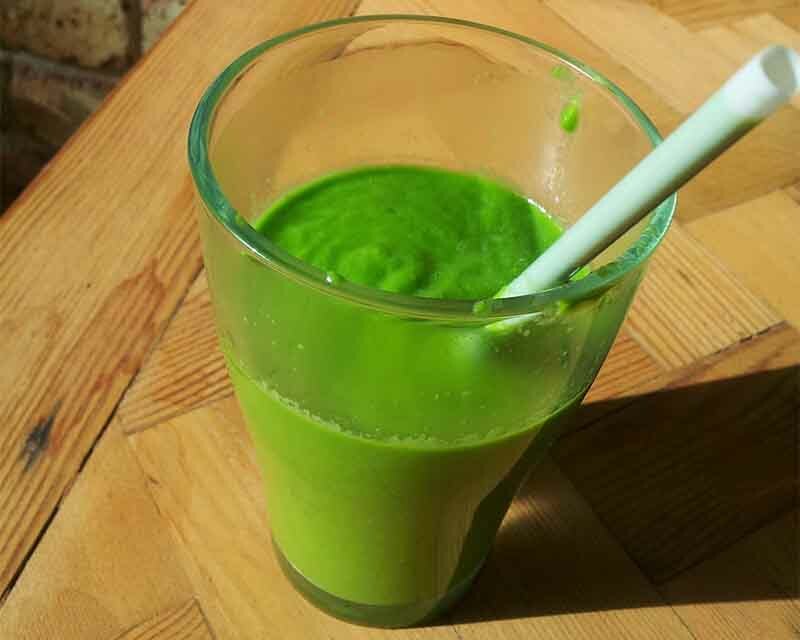 I read a good explanation of why blending and drinking the entire vegetable is better than just drinking extracted juice, with the pulp and fibre removed over on the Quirky Cooking Blog here. There are also some great smoothie recipes there as well. So, goodbye 2013 and here is to 2014 being a great year for us all. Thank you all for following along with me on the grain free journey. In late 2013 I was pleased to be able to upgrade the website and be able to start blogging again regularly. I am looking forward to some inspiring new beginnings and positive changes to health and fitness in the new year. Stay tuned. *Edited March 2015 to note that I rarely use Kale in my smoothies due to the goitrogenic effect, but I do consume it sometimes cooked in soups and stews. **Edited September 2017 to remove links to websites that engage in link-building or links in exchange for social media shares. All the links in this article are to websites that I have personally researched and not as a result of being approached and asked to include a link in return for some kind of “reward”. This is not what my website is about and I am not comfortable in engaging in this practice. For more information please read my blog content policy here.